SAM® is an electro-acoustic revolution. 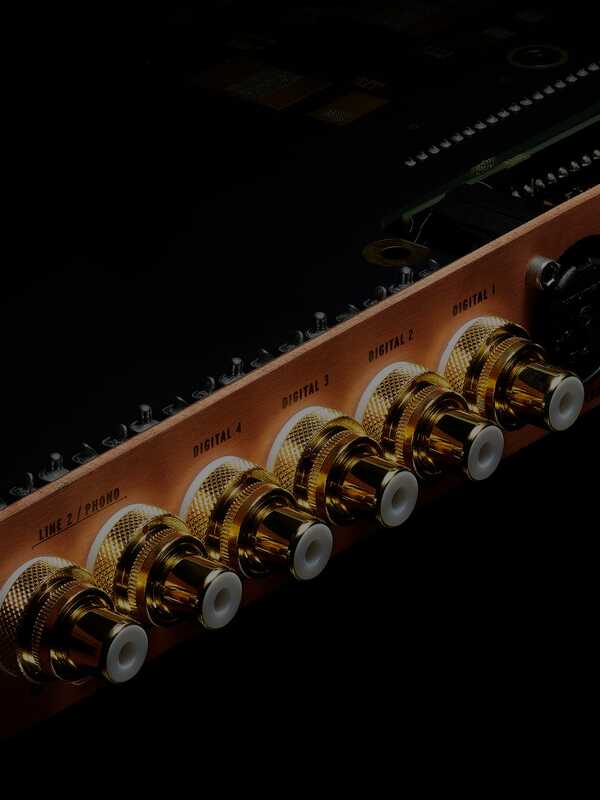 For the first time ever, Devialet SAM technology guarantees a seamless match between your amplifier and connected speakers. Almost all multi-way loudspeakers generate delay caused by the bass diaphragm reacting slower to the audio signal than the tweeter does. Mechanical and technical measures help to minimize delay that would otherwise disrupt the evenness and spatial quality of sound. Preliminary laboratory work carried out via SAM® Lab enables us to identify sixty or more different parameters per speaker model. SAM® analyzes transducer characteristics using laser technology. These include displacement, deformation, maximum displacement, speed and acceleration. By measuring passive filters, we can determine resonance (event bass-reflex and passive radiators) while factoring in the overall impact of casing and damping. Once this data is compiled, SAM® is able to produce a full physical behavioral model. The collected data also allows us to calculate the transducer SOA (Safe Operating Area). By doing so, SAM® offers permanent protection from overload, letting users reach higher volumes than ever before. For the first time, it is possible to achieve perfect temporal alignment between the recorded signal and acoustic pressure from your loudspeakers. Similar to transfer function, this physical model is inverted in real time using digital signal processing technology before digital-analog conversion occurs. The result: acoustic pressure in the air perfectly matches the signal registered by microphones during the recording process. A temporal process, SAM® runs on an open loop and without sensors. No changes to set-up are required. The process is strictly causal and generates no pre-echo. Playback is radically enhanced, with considerable gain in spatial coherence and transparency (each transducer delivers optimal performance). Your speaker model’s unique specs and character remain intact. By recognizing the functional limits of each speaker, SAM also allows for further extension into low-range frequencies.